Why select Kathleen Surges as your REALTOR? Market knowledge, attention to detail, communication, negotiation skills, contract expertise, follow up, customer service, and so much more is required to properly represent Buyers and Sellers.... Kathleen Surges works hard to provide superior service to her real estate clients and as a result, the majority of her business is repeat business and referrals from satisfied previous clients. Kathy specializes in representing home buyers and sellers in Denver's southeast suburban communities including, but not limited to: Southeast Aurora, Centennial, DTC (Denver Tech Center), Denver, Englewood, Greenwood Village, Parker, Lone Tree, Cherry Hills Village, Castle Rock, Castle Pines, Littleton, and Lone Tree. Considering buying or selling in the Denver metro area or know someone who is? 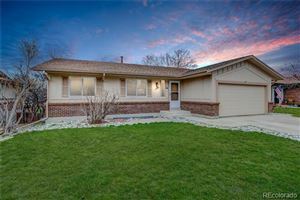 Have questions about the Denver real estate market or relocating to Denver?